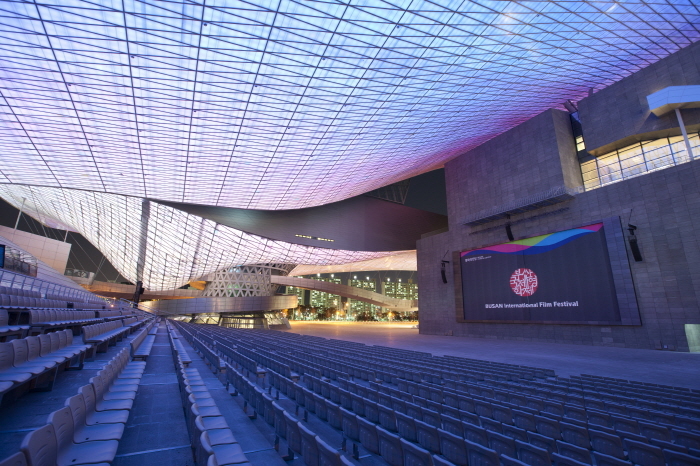 Busan Cinema Center is the official venue of the Busan International Film Festival (BIFF) – one of the most popular film festivals in Asia – and has become a symbol of the festival itself. 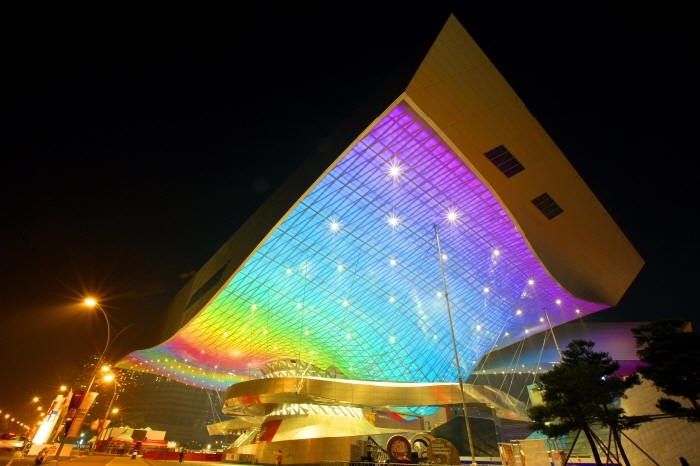 From an architectural perspective, the center is a historic work that embodies the theories of deconstructivism while exhibiting a sense of formative beauty. 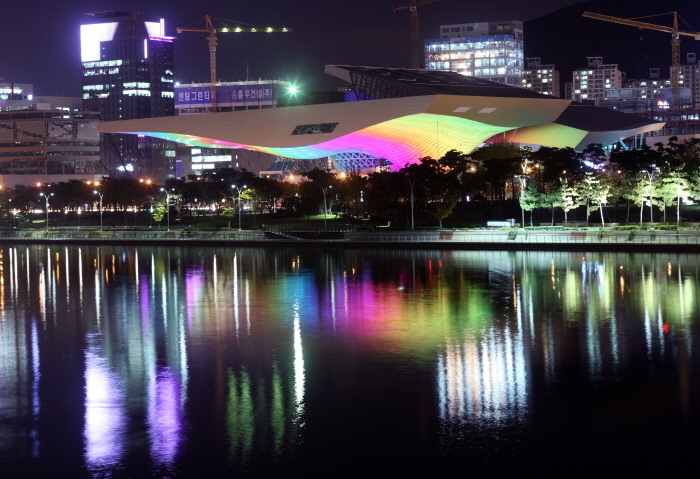 The center’s ‘Big Roof’ is the largest roof in the world (2.6 times larger than a soccer field) and comes complete with 42,600 LED lights, which help create an unforgettable scene along with Suyeong River and Naru Park. 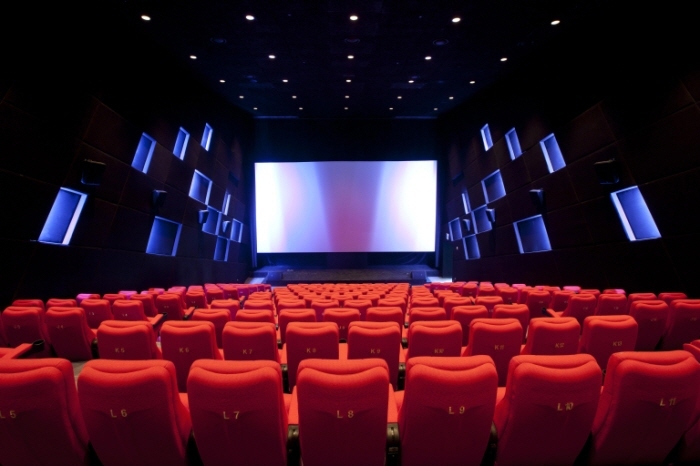 The Cinema Center consists of 3 buildings: Cine Mountain, BIFF Hill, and Double Cone. 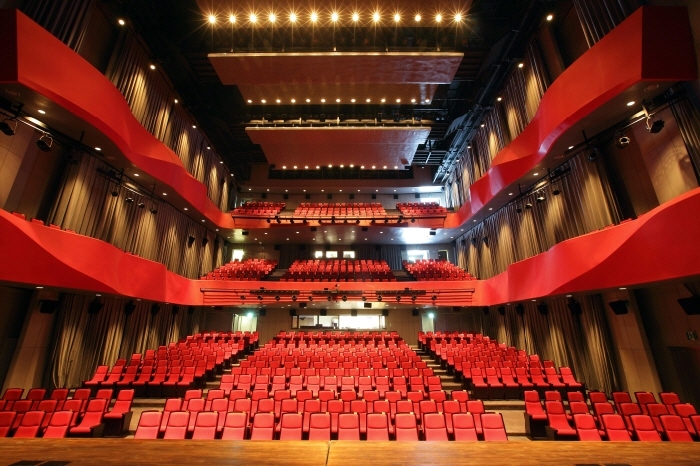 The main building, Cine Mountain, has 3 theaters for screening movies and one performing arts theater, called ‘Haneulyeon,’ featuring the world’s best stage performances. 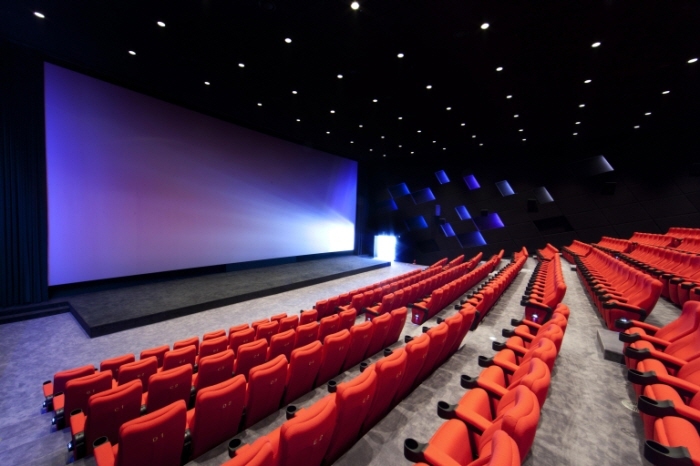 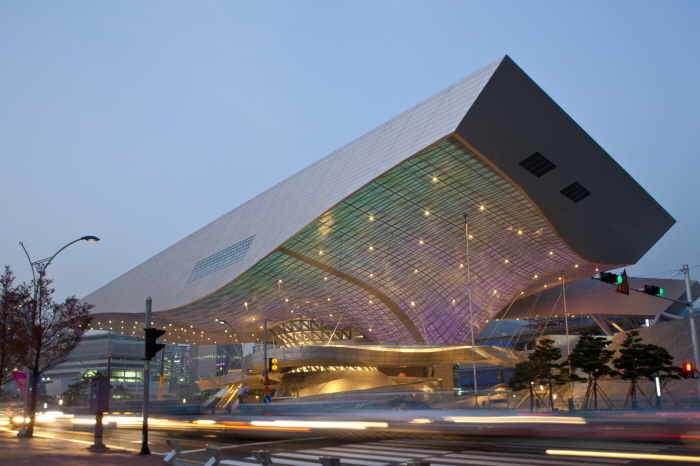 Busan Cinema Center is said to be the first culture complex worldwide to combine movie theaters and a performing arts center in one building.